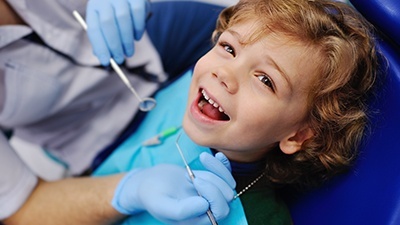 At 21st Century Dental, we know that convenient dental care is almost just as important as high-quality care, which is why our team is ready to treat every member of your family under one roof, including its youngest members! 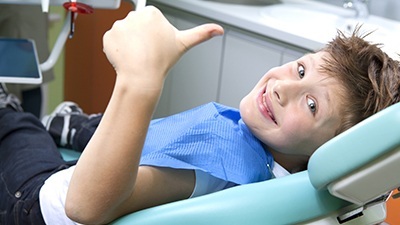 Many of our team members are parents themselves, so we’ll know exactly how to keep your child relaxed while we provide the kid-friendly services their developing teeth and gums need. 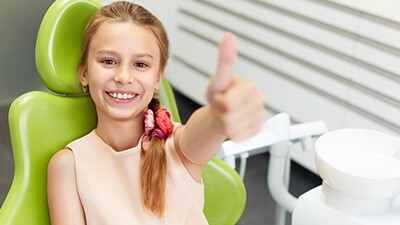 If you’re like most parents, you probably have a lot of questions about your child’s dental care, and we’re happy to answer some of the most common ones below so you can come see us with peace of mind. 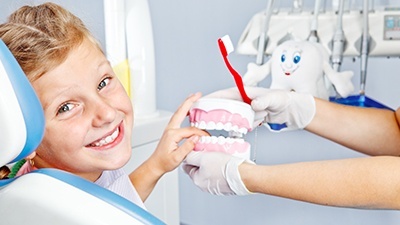 Why Choose 21st Century Dental for Children's Dentistry? Our dental team loves kids! What age do you see children? All ages! 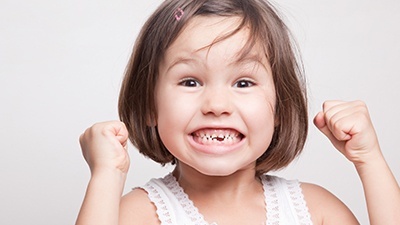 We recommend that children should have their first dental appointment by age 3, but you can bring them to see us sooner if you have any pressing concerns (such as teeth coming in crooked or if they are having issues speaking, chewing, or breathing). What will my child’s first visit be like? This really depends on the age and maturity of your child. For very young children, their first visit may only involve meeting our team, touring the office, and sitting on your lap while you talk with their dentist. Our goal is for them to be comfortable right from the very beginning. Initially, their dentist will do an exam just to make sure their teeth are growing in correctly. As they age, our team will start taking X-rays and providing more and more preventive services (including cleanings, dental sealants, fluoride treatments, and more) to make sure they stay protected from cavities and gum disease. We can also help with any dental issues that may pop up along the way. Very! As parents ourselves, we know how important it is to keep little hands busy. We have an entire tooth treasure chest filled with toys and gadgets for children to play with. And, at the end of their visits, we send every child home with a small goody bag, which will include their choice of toothbrush and floss. We have many different designs and sizes so children can choose their favorite (which will make them more likely to be used). We also have a selection of drinks, cookies, and milkshakes for them to enjoy. It’s all in an effort to make everyone feel right at home and make the dental office not such a “scary” place. Nothing is more fulfilling for our team than taking care of a child’s smile and watching them grow over the years, and we can’t wait to bring your child into our patient family. If you have other questions about your child’s dental care, or if you’d like to schedule an appointment with us, give us a call today.